Today I wanted to tease you a little bit, with a preview of our upcoming theme, Metropolis. One of the first things that you might notice is that the main menu is on the left side, under the logo. This is different from our other themes, all of which have the main menu at the top, centrally aligned. 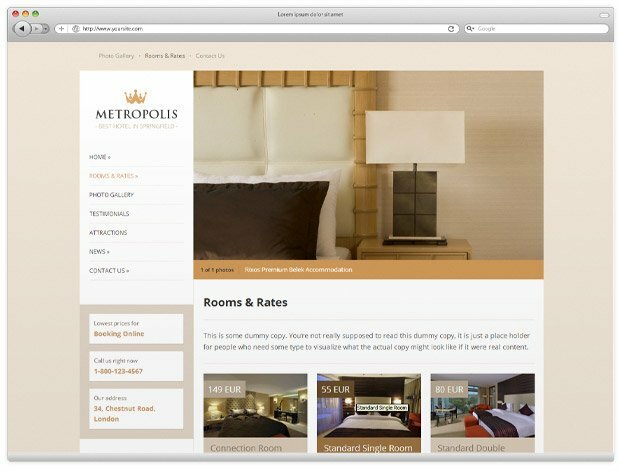 As all our themes, Metropolis will be fully responsive (mobile friendly), will include a lot of custom page templates and widgets, as well as an easy to use style customizer. The theme will be released during the first days of April, so if you like the preview, be sure to come back next week for the real thing. 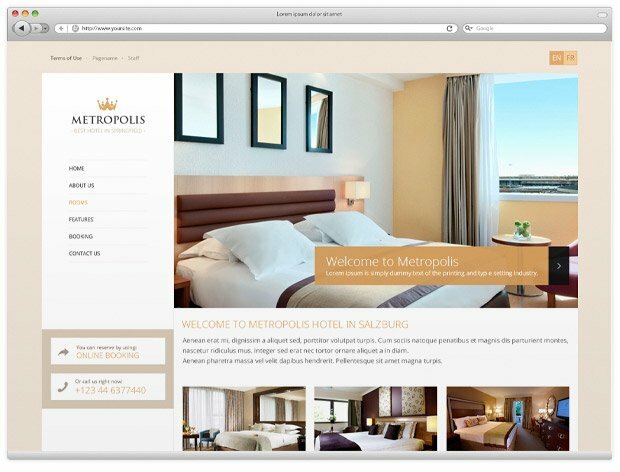 In the meantime, you can check our other WordPress themes for hotels. I would love to hear your comments and opinions on this preview in the comments section below.